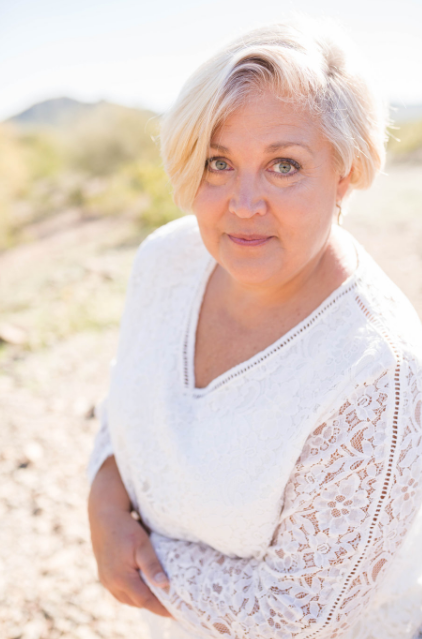 First United Methodist Church of Gilbert offers many opportunities for singers and musicians of all ages and levels of musicianship to join its lively and varied music program. The Music Ministry strives to provide a diverse spiritual offering. The Sunday 8:00 a.m. and 9:30 a.m. services center around traditional music, regularly requiring the use of the organ, piano, and sometimes orchestral instruments, so as to establish an atmosphere conducive to worship and prayer. A broad range of musical styles can fall under this traditional music umbrella ranging from music of the Renaissance church through anthems influenced by the contemporary Christian movement. The Sunday 11:00 a.m. service provides a more casual and contemporary atmosphere with a band. There are numerous opportunities to participate or assist the Music Ministry. All ensemble rehearsals are held at the church—some in the choir room, some in the bell room, and some in the sanctuary—and while we have a steadily growing program of participants, we are always looking to add to the ranks of both experienced and inexperienced volunteers. If you have an interest in joining one of our groups in the music program, please email our Director of Music Ministries, Marty Province, or through the church office at (480) 892-9166. For more than thirty years, Martin Province has conducted a wide range of ensembles including choirs, orchestras, chamber ensembles, and wind bands. He most recently served on the faculty at Arizona State University, preceded by positions at Iowa State and Wake Forest (NC) Universities. 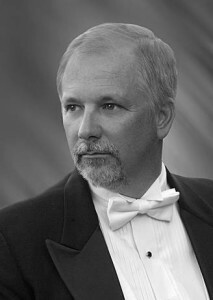 His ensembles have received accolades from and premiered works by such composers as Karel Husa, Michael Torke, Frank Ticheli, David Maslanka, Charles Young, Roger Cichy, and Daron Hagen. In 1996, he conducted the Denver Concert Band at the National Convention for Community Bands in Phoenix, Arizona, and was guest conductor for the Arizona State University Wind Symphony at the College Band Directors National Association Biennial Convention in Minneapolis in 2003. Prior to his tenure with university ensembles, he served in the public schools of North Carolina and Colorado, teaching chorus, band, and general music to students in elementary, junior, and senior high schools. His first conducting position was as Choir Director for Emmanuel Baptist Chapel (later Pfafftown Baptist Church) in North Carolina. As a clinician and adjudicator, Province has worked with ensembles from more than 25 states and Canadian provinces. Dr. Province holds both a Doctor of Musical Arts and a Master of Music in Instrumental Conducting from the University of Colorado and a Bachelor of Arts in Music from Wake Forest University. He was chosen to participate in the 1992 Conductors’ Guild Conducting Symposium held in conjunction with the 40th Anniversary of the founding of the Eastman Wind Ensemble and was one of only four international participants selected for the conducting symposium sponsored by the World Association of Symphonic Bands and Ensembles in Hamamatsu, Japan in 1995. As a performer, Dr. Province has played percussion with the Winston-Salem (NC) Symphony, the Governor’s School of NC Symphony, and the Wilkes (NC) Symphony as well as with the Faculty Chamber Ensemble at the University of Colorado. Until recently, he was a member of the tenor section with the Phoenix Symphony Chorus and entertains – singing and accompanying himself on banjo, guitar, autoharp, and other folk instruments – at events in the East Valley. Marty also has theater experience both in the pit and behind the podium. He recently sang the role of “Enjolras” in a local production of Les Misérables and “Washball” in a Bicentennial resurrection of The Disappointment, America’s first ballad opera. Dr. Province lives in Chandler, Arizona with his wife Elice and two sons. Any questions you might have regarding any of the programs within the Music Department, please email Marty. Featuring the unique realism of Acoustic Portrait™ and the unparalleled flexibility of Stoplist Library™, Quantum™ Organs redefine the state-of-the-art and will take your organ performance to a new level. World-renown Allen sampling is the foundation of Quantum sound, assuring faithful sound reproduction that includes the fleeting but essential characteristics occurring in the first and last milliseconds of a pipe’s speech. Allen samples also recreate the natural random pipe fluctuations of sustained sounds without the artificial “looping” heard in other sampling systems. And, with the world’s most extensive digital library of pipe organ sounds, Allen provides choices to satisfy every taste and need. Allen invented the digital organ format that most closely exact realistic pipe organ sounds, through Renaissance Quantum™ digital voicing, with the capacity to retain even the most subtle nuances of a true pipe organ. 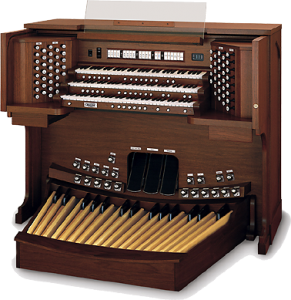 First United Methodist Church of Gilbert incorporates into traditional worship services its beautiful Allen digital three manual instrument, manufactured by Allen Organ Company, in Macungie , Pennsylvania. Please come and enjoy the beautiful sounds that touches your heart and soul as you listen to Jonathan Cochran, our organist performs. Children beginning with age 3 meet in the Choir Room each week from 10:45am to 11am (between the second and third services) for a time of singing and praise. we sing music appropriate tot he age of the children as we explore what it means to be a Christian. In addition to songs by well-known composers of children’s music, the children often write their own lyrics. Every 4 to 6 weeks, the group sings “in big church” to the delight of the congregation. The Children’s Choir follows the school schedule with school holidays and summers off. For more information contact Marty Province in the church office. Rehearsals are Wednesdays from 7-8:30pm and begin in the sanctuary. Special performances during Advent and Holy week and throughout the year are also performed. The the past we have performed A Festival of Lessons and Carols by John Leavitt; A Ceremony of Lessons and Carols by Anna Laura Page and Jean Anne Shafferman. During Easter, 2010, we sang Requiem by Gabriel Fauré. The Chancel Choir takes a well deserved break during the months of June and July. During those summer months, members from the Choir and Congregation perform as solo’s or groups during the first two services. Please email Mary Province if you would be interested in sharing your God given talent during this time. Handbells were invented in 17th-century England, as a solution to a noisy problem. People living near church bell towers had grown tired of listening to long change-ringing rehearsals. The invention of smaller, quieter bells that could be rung with one hand made it possible for rehearsals to take place in the spirited warmth of pubs. It wasn’t long before people realized that handbells could be used for more than change-ringing, and people began to assemble fully-chromatic sets of bells. Handbells were first brought to the United States around 1840, where they were popularized by P.T. Barnum as a circus attraction. Not long afterward, handbell teams went into the Vaudeville circuit. In the 1940’s, people began ringing handbells in American churches. Handbells were first manufactured in the United States in the 1960’s. 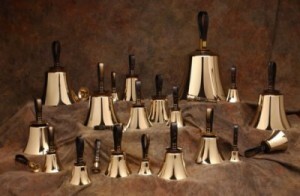 Today there are over 10,000 handbell choirs in North America, most of which are associated with churches. Bells are among the most ancient of musical instruments, and have been used in worship since the some of the earliest documentable times. First United Methodist of Gilbert has a long tradition of bell choirs. Our ensemble generally rings with 9-10 bell ringers (playing Schulmerich Bells, as well as Suzuki Tone Chimes. The Wesleyan Bells welcomes capable ringers of high school age and above. The Wesleyan Bells rehearse Wednesdays from 5:30pm – 6:30pm in the bell room (with summers off). Nursery/child care is available for both Wednesday rehearsals and Sunday morning worship services. They play frequently through out the year during the 1st and 2nd service and have been requested to play at funerals held at the church as well. For more information regarding the Wesleyan Bell Choir, please email Marty Province, Choir Director.